ISLAMABAD: PTI’s parliamentary committee unanimously approved on Monday the nomination of party chief Imran Khan for the post of prime minister of Pakistan. The head of the Pakistan Tehreek-e-Insaf (PTI) will face Pakistan Muslim League-Nawaz (PML-N) President Shehbaz Sharif, who was nominated by the joint opposition. Commenting on nominees for top slots in the Punjab, Khyber-Pakhtunkhwa and at the Centre, PTI supremo Imran informed newly-elected parliamentarians that he had received recommendations from senior party leaders and held extensive consultations, adding that he (Imran) would take decisions in this regard in accordance with his conscience and in the greater interest of the party and the people of Pakistan. The parliamentary committee proceedings started with special prayers for political workers who lost their lives for democracy in the country. PTI Vice-Chairman Shah Mehmood Qureshi presented a resolution before the participants and sought their endorsement on Imran Khan’s nomination for the office of the Leader of the House in the National Assembly. Khan arrived at the meeting’s venue in a convoy comprising nine security vehicles. A VVIP route was charted out from his Bani Gala residence. Later, Khan’s spokesperson Naeemul Haque informed media persons that Khan was perturbed over the protocol given to him without prior notice. “PTI never asked the local administration or police to provide [such] excessive protocol. Khan sahib was infuriated about the situation and he advised unnecessary security vehicles to be withdrawn and wished that no VVIP route be mapped out in future,” Haque said. 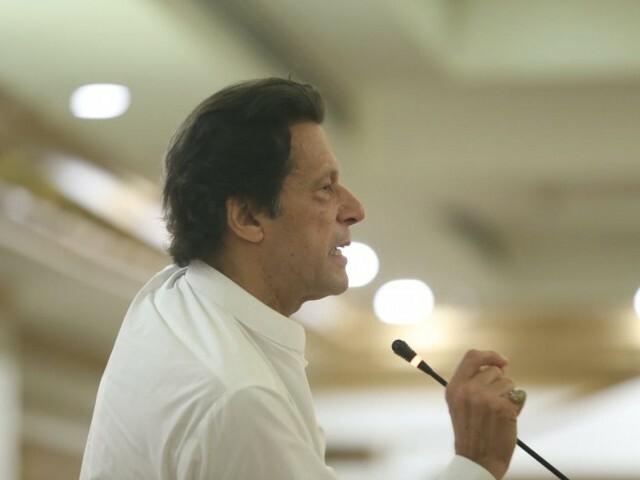 Speaking at the parliamentary party meeting, Khan appreciated the nation, saying that it had defeated the political status quo by rejecting the two-party system that had been prevailing since the 1970s. “It rarely happens that a third political force is given a chance by the public to rule in the presences of the established and traditional two-party system,” he said. 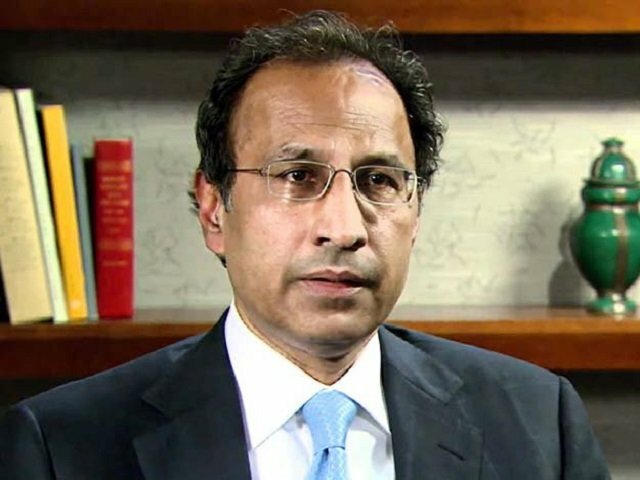 The PTI chief informed that he would emulate British prime ministers and personally answer all questions of parliamentarians once a week. He promised to hold all ministers accountable for their performances. According to him, the masses no longer believed in conventional politics. “We will be held accountable by our voters,” he said, adding that PTI would have to overcome several challenges to be able to fulfil people’s expectations. “In the next five years, if we fail to bring change and opt for traditional politics like other political parties, we will have to face the people’s wrath,” he cautioned his colleagues. 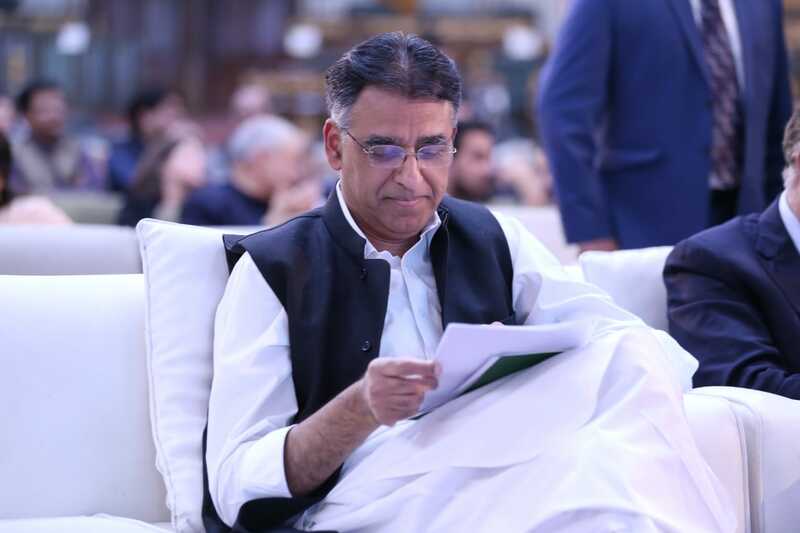 Reminding the lawmakers of the time when the party had taken over the reins of the government in Khyber-Pakhtunkhwa in 2013, he said, “In 2013, 70 per cent of the industry in the province was dysfunctional. Abductions for ransom had become a popular ‘business’. 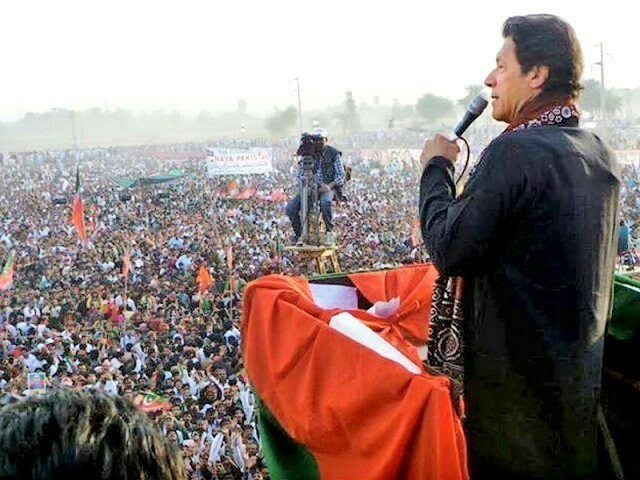 But it was our performance that the people of KP have once again reposed their confidence in PTI,” he said. Advising MNAs-elect to sincerely serve the masses, he said that the nation would bestow them with unprecedented respect. “I will lead by example … I ask you to become role models for others,” he said, adding that it was time to forge unity among party ranks. Criticising the joint opposition, Khan said that PTI would face the morally-weakest opposition in the country’s parliamentary history. Pointing out that the opposition had Maulana Fazlur Rehman on their side, Khan said they lacked moral authority. Stressing the need for simplicity and austerity, he urged all legislators to save public money and spend it on nation-building. “I will make all decisions on merit and in the greater national interest,” he said. In the post-meeting press conference, PTI’s Vice-Chairman Shah Mehmood Qureshi denied reports that he had been named as the next speaker of the National Assembly. Qureshi said that independent MNAs, who recently joined the party, had also attended the meeting. He reiterated that the party had the required number of lawmakers to form a majority government at the Centre. According to him, members of the opposition had nothing in common. 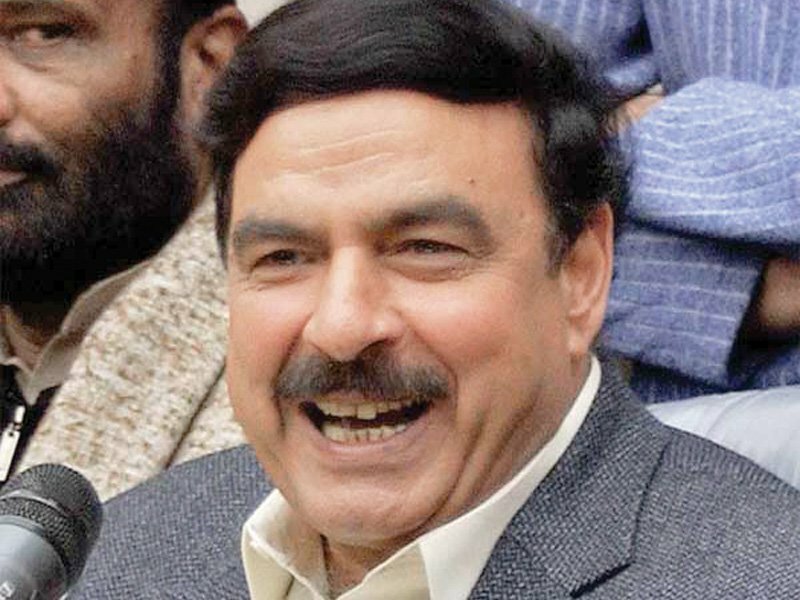 “What does Pakistan Peoples Party (PPP), Pakistan Muslim League-Nawaz (PML-N) and Muttahida Majlis-e-Amal (MMA) have in common?” he asked. “The fear of losing status quo is unifying them. This alliance is unnatural and temporary. We do not expect it to survive for long,” he predicted. Responding to the war of words between PTI’s Sindh chapter and Muttahida Qaumi Movement-Pakistan (MQM-P), Qureshi asserted that the MQM-P dissociated itself from its founder Altaf Hussain and this was why PTI had decided to strike a partnership with them to develop Karachi. On the talks with the Balochistan Awami Party (BAP), he said that the party was deliberating over six points put forward by Sardar Mengal and progress was expected soon.